I love Summer! It's my favorite season of the year. And with Summer comes beautiful weather, long days and lots of entertaining! My husband and I love having people over, especially for a casual evening of barbecuing, cocktails and good conversation. 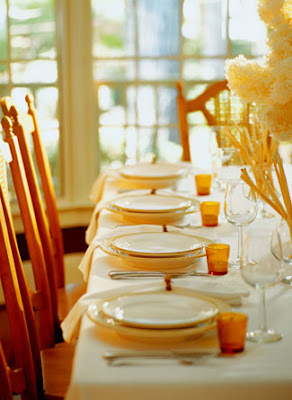 I found a few great ideas from Martha Stewart 's site that are simple and help give that extra special touch to any gathering. Found objects such as pebbles, shells, leaves, etc. are great to use as place cards - customize them to your theme or color scheme by using an ink pad and rubber stamps! 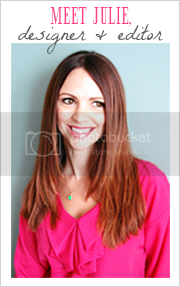 I love this idea because it allows you to be as creative as you want. 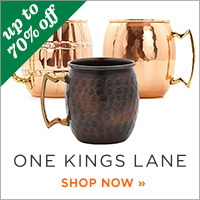 What other items would you personalize for place cards? 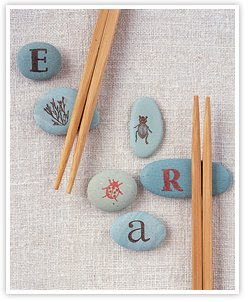 Above are painted pebbles that are stamped and can be used as a chopstick rest and a place card holder! 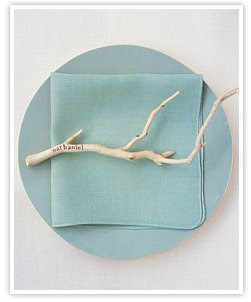 A simple statement using a twig, stamped with your guests name. 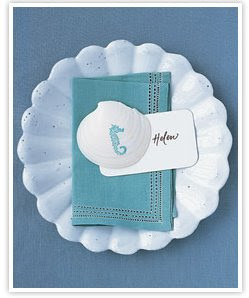 Another great idea - stamp a seashell like the one above, to coordinate with the theme of your party. 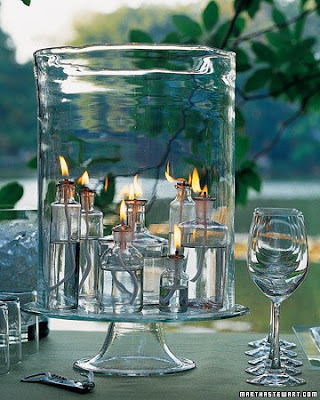 (Above) A simple and elegant, yet casual idea for a table centerpiece for outdoor entertaining! 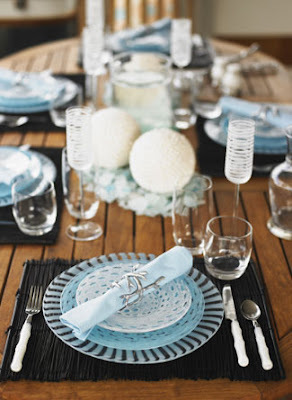 I thought these were lovely table setting ideas! I can't wait to throw our first official summer get-together. There's nothing like being with the people you love, enjoying good food and drinks, on a warm summer evening. Such great ideas - I love the Martha ones! these are some great ideas. i just got asked to help with the decor for a wedding party, so i'm pulling together all my reference materials. these will make a nice addition. 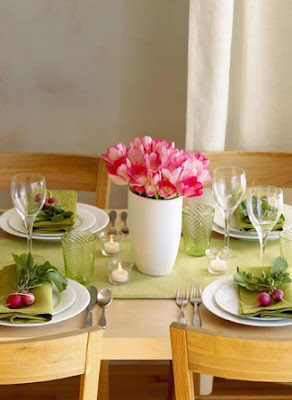 awesome ideas & so earthy! i love the centerpiece with all of the oil lamps. yay summer!